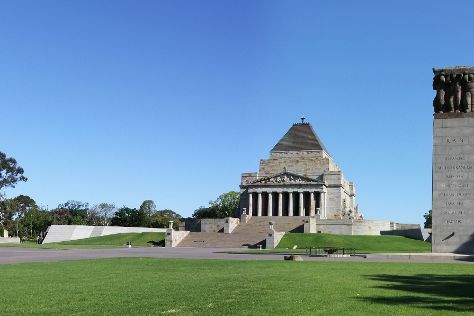 On the 25th (Tue), stroll through Melbourne Zoo, then browse the exhibits of Shrine of Remembrance, and then tour the pleasant surroundings at St. Kilda Beach. 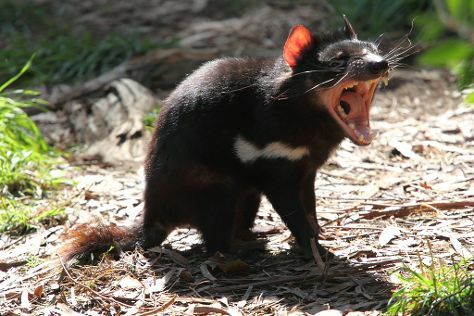 On the 26th (Wed), you'll have a packed day of sightseeing: surround yourself with nature on a nature and wildlife tour. To find maps, more things to do, traveler tips, and more tourist information, go to the Melbourne online vacation planner . Los Angeles, USA to Melbourne is an approximately 18-hour flight. You can also do a combination of train and flight; or do a combination of tram and flight. Due to the time zone difference, you'll lose 18 hours traveling from Los Angeles to Melbourne. While traveling from Los Angeles, expect somewhat warmer days and about the same nights in Melbourne, ranging from highs of 78°F to lows of 54°F. Finish up your sightseeing early on the 26th (Wed) so you can travel to Adelaide. On the 27th (Thu), take in nature's colorful creations at Adelaide Botanic Garden, contemplate the long history of Adelaide Oval, and then enjoy the sand and surf at Aldinga Beach. Here are some ideas for day two: tour the pleasant surroundings at Semaphore Beach, then admire nature's wide array of creatures at Adelaide Zoo, and then identify plant and animal life at Cleland Wildlife Park. To see traveler tips, ratings, where to stay, and other tourist information, refer to the Adelaide online travel planner . Fly from Melbourne to Adelaide in 3.5 hours. Alternatively, you can drive; or take a train. December in Adelaide sees daily highs of 79°F and lows of 58°F at night. Cap off your sightseeing on the 28th (Fri) early enough to travel to Uluru-Kata Tjuta National Park. Kick off your visit on the 29th (Sat): get engrossed in the history at Uluru-Kata Tjuta Cultural Centre, view the masterpieces at Walkatjara Art, identify plant and animal life at Kuniya Walk, then explore the activities along Mutitjulu Waterhole, and finally explore the striking landscape at Uluru. Keep things going the next day: identify plant and animal life at Red Desert Reptiles, then explore the striking landscape at Kata Tjuta, and then get outside with Walpa Gorge. To see reviews, ratings, photos, and tourist information, read Uluru-Kata Tjuta National Park trip itinerary planner. 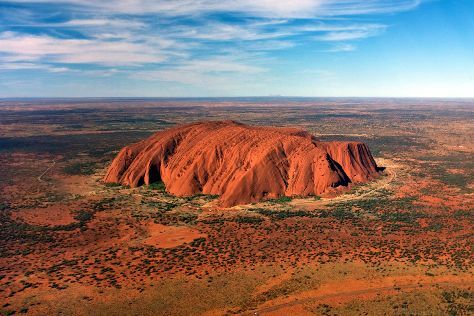 You can fly from Adelaide to Uluru-Kata Tjuta National Park in 7 hours. Another option is to drive. Prepare for a bit warmer weather when traveling from Adelaide in December: high temperatures in Uluru-Kata Tjuta National Park hover around 97°F and lows are around 70°F. Cap off your sightseeing on the 30th (Sun) early enough to travel to Jabiru (Kakadu National Park). Jabiru is a town in the Northern Territory of Australia. On the 31st (Mon), identify plant and animal life at Mamukala Wetlands, identify plant and animal life at Yellow Water, and then contemplate the long history of Nourlangie Rock. Get ready for a full day of sightseeing on the 1st (Tue): identify plant and animal life at Anbangbang Billabong and then delve into the distant past at Ubirr. For other places to visit, more things to do, photos, and other tourist information, refer to the Jabiru (Kakadu National Park) road trip planning app . Getting from Uluru-Kata Tjuta National Park to Jabiru (Kakadu National Park) by combination of flight and bus takes about 14.5 hours. Other options: drive; or do a combination of flight and car. Wrap up your sightseeing on the 1st (Tue) early enough to travel to Port Douglas. Start off your visit on the 2nd (Wed): get a new perspective on things with Boat Tours & Water Sports. Here are some ideas for day two: enjoy the sand and surf at Four Mile Beach, then experience rural life at Hartley's Crocodile Adventures, and then look for gifts at With Sugar. For traveler tips, photos, reviews, and other tourist information, go to the Port Douglas trip itinerary app . Traveling by combination of bus, flight, and shuttle from Jabiru (Kakadu National Park) to Port Douglas takes 11.5 hours. Alternatively, you can do a combination of car, flight, and shuttle; or drive. January in Port Douglas sees daily highs of 89°F and lows of 75°F at night. Finish your sightseeing early on the 3rd (Thu) to allow enough time to drive to Cairns. Popular historic sites such as Historic Village Herberton and St Monica's Cathedral are in your itinerary. Step out of the city life by going to Scuba & Snorkeling and Palm Cove Beach. Next up on the itinerary: enjoy the sand and surf at Trinity Beach, view the masterpieces at Bones and Jones, trek along Esplanade Boardwalk, and stroll through Yorkeys Knob Beach. For photos, ratings, more things to do, and more tourist information, read Cairns trip itinerary planner. Drive from Port Douglas to Cairns in 1.5 hours. Alternatively, you can take a bus; or take a shuttle. In January, plan for daily highs up to 89°F, and evening lows to 75°F. Wrap up your sightseeing by early afternoon on the 7th (Mon) to allow time for travel back home.